This guest house is located near Patong Temple (Wat Patong), at the north end of Patong beach. A bit far from the center, but it offers clean and really comfortable rooms. All rooms are equipped with ADSL Internet access. This hotel is reasonably priced and is perfect for a long stay. The next door Thai restaurant has a good reputation. An affordable hotel located at northern part of Patong beach. A bit far from the center of Patong, but there is a convenience store nearby. A charming oriental hospitality serviced by friendly staffs and cozy rooms will crate a perfect holiday. A few steps from the white sand and the light blue sea of famous Patong Beach, and just a short walk to the entertainment and shopping that people from all around world come to enjoy. Even though it locates a busy street offers a natural setting with tropical palm trees. 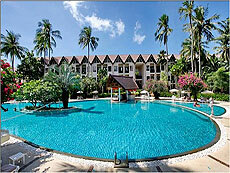 Short walking distance to the sparkling white sandy beach, fresh sea breeze, and turquoise Andaman Sea. This small budget resort lies close to various choices of eateries, bars, shopping venues as well as the vibrant nightlife and entertainments of the well known Patong area. 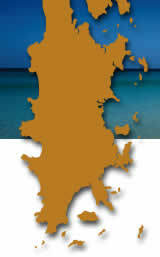 Located at the southern end of Patong beach. It has a family atmosphere and the staff always welcome you with smile. It has no luxury, but has a cozy and casual ambience. Situated within walking distance to the beach, and offering an affordable price, this is a popular hotel. All rooms have a bathtub. Pimnara Boutique Hotel comprises of 67 uniquely-decorated rooms designed by 11 well-renowned Thai artists. All rooms are creatively laid out and furnished evoking an enchanting ambience. Each of the rooms and suites are provided with modern conveniences to ensure that guests have a comfortable stay at Pimnara Boutique Hotel. With luxurious and convenient amenities, the guests experience the comforts of home in a stylish setting. An affordable resort is ideally located just a 3 minute walk to the center of Patong beach, Bangla Road. It offers swimming pools, restaurant, and clean rooms with wireless Internet access for your comfortable stay. The hotel is an excellent base to enjoy dining, shopping and marine sports. Located in the heart of Patong Beach within 10 minutes walk to shopping, restaurants, entertainments and Bangla street is the most popular night life area. Relaxing in style restaurant, Spa, Fitness center, Library and swimming pool are shared with the sister hotel next door Nap Patong. Mom Tri’s Boathouse is a luxury beachfront resort located on Kata Beach, Phuket. 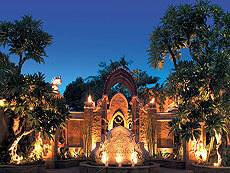 The resort was designed by the owner, Tri Devakul, who is also known as an architect. All rooms are overlooking the sparkling blue waters of the Andaman Sea, creating a luxurious atmosphere of the southern island resort. The resort’s well-known restaurant, “Mom Tri’s Boathouse Wine & Grill” repeatedly receives Wine Spectator’s Best of Award of Excellence, and people come from around the world to savor the finest cuisine and wine. Located just a 2-minute walk from the center of lovely beach town of Kata, Serene Resort is an affordable resort on the hillside. 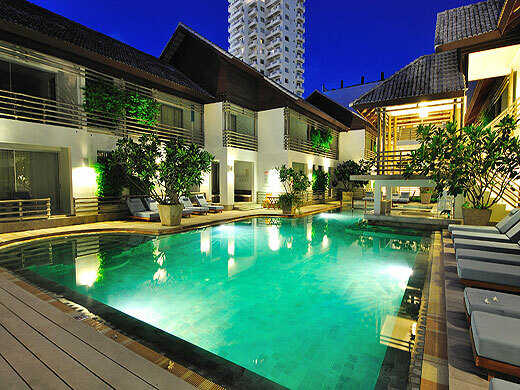 It offers swimming pools, restaurant, and luxury spa facilities for your comfortable stay. The resort is conveniently located within walking distance to the beach, shops and restaurants. A new small resort situated on the mountain side, only a short distance from the center of Kata beach. After opening in 2006, it has been offering the comfortable villa & Pool Access style accommodation at reasonable price. It is also conveniently located within walking distance to Kata beach and the center of town, so you can enjoy the beach, shopping, and dining. Kata Lucky Villa is especially recommended for families or groups of friends. Opened in 2008 in Kata Beach, Sugar Palm Grand Hillside is nestled on a hillside overlooking the Andaman Sea. The simple and modern rooms are especially popular with couples. Built on a hillside facing the sea, most of the rooms offer a sea view. The way up to the hotel is a bit steep, but just a few minutes walk to the center of Kata Beach. A magnificent 6 bedroom pool villa located high on Kata Noi hill, looking directly along Kata Noi beach and out to the Andaman Sea. This modern pool villa has it all, luxury, privacy, security and serenity. Located on Karon Beach in Phuket, Novotel Phuket Karon Beach Resort & Spa (former Talay Karon Beach Resort) is recommended for families with small children. Not only the rooms but also the facilities such as restaurant and swimming pool are also designed for children. It is like staying at an amusement park. Conveniently located close to everything, it is a very popular resort. 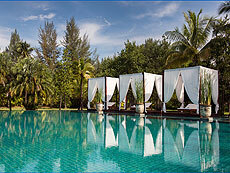 The West coast of Phuket offers the ultimate lifestyle for a great holiday or weekend retreat. Miles of beautiful, unspoilt beach, crystal clear water & beautiful sunsets, combine with one of the most attractive cultures in the world. 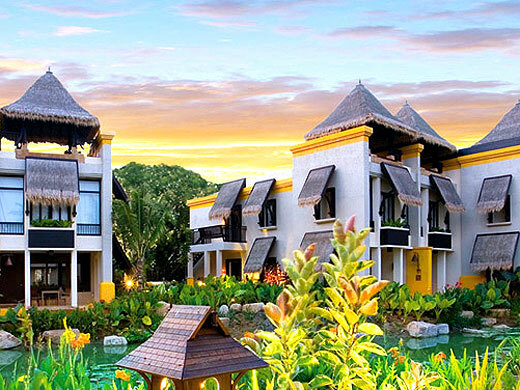 Conveniently located at the entrance to Laguna’s Five Star Resort Complex, Villa 19@Sai-Taan offers easy access to golf courses, stunning beaches, international standard restaurants, yet only 15 minutes from the airport (Phuket International Airport). 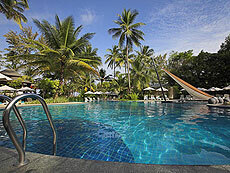 Villa Namaste is a luxury rental villa located on the hill look over Bangtao Beach. Three another rental villas standing around with surrounded by full of natural environment. These 3 to 6 Bedrooms could see beautiful ocean view over the Bangtao Beach area (except bedroom No.4 is a media room can converted into 4th bedroom). The villa located 25 minutes from airport and 10 minutes to Bangtao Beach by car, so easy to access to the other places such as outdoor activities, shopping, eating etc. Villa Padma is located ocean front on the Cape Yamu where the east coast of Phuket. The villa surrounded by full of tropical green with 4 Bedroom gorgeous rental villa. Inside the villa have 25 meter of swimming pool with beautiful ocean view that bring your deeply relaxation during your stay in villa. A private chef,daily house keeping and other staff could stand by for you to service. About 30 minutes to Patong beach where is one of the major sightseeing spots in Phuket by car.